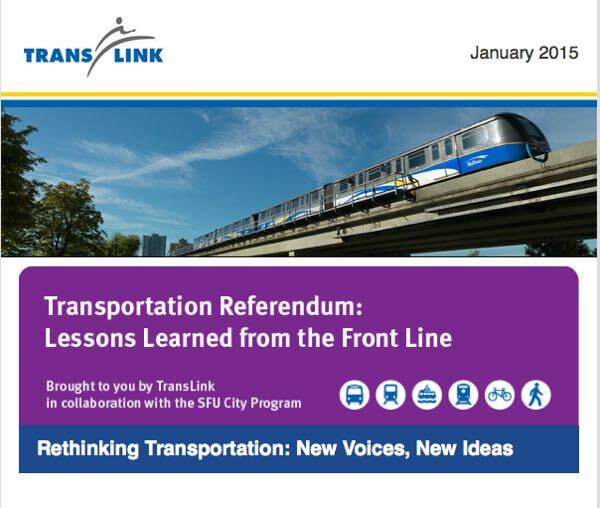 This spring, Metro Vancouver voters will have a say on proposed transportation and transit improvements through a referendum — the first of its kind in Canada. Carl Guardino, one of the most influential forces on transportation policy and funding in the San Francisco and Silicon Valley area, will share his firsthand experiences and lessons learned from managing transportation referenda. Join the conversation on January 19 from 7 to 9 p.m. at Simon Fraser University’s Harbour Centre. Admission is free, but reservations are required. Tagged with: Carl Guardino, Metro Vancouver, Translink, Transportation referendum.